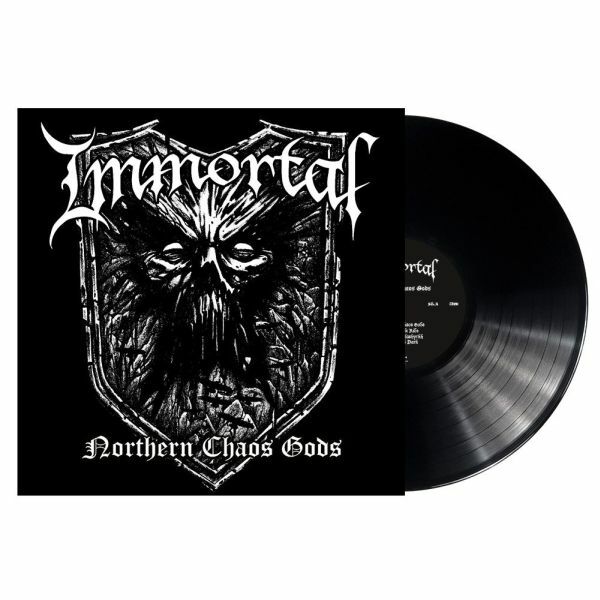 IMMORTAL - NORTHERN CHAOS GODS VINYL (LP BLACK) | Online Shop | Wizard LTD. Album: "NORTHERN CHAOS GODS VINYL (LP BLACK)"
IMMORTAL’s new album is a blizzard agitating the very foundations of black metal. With rabid furore, teeth-baring aggression and an eerie cold that crawls deep into the very bones of the listener after only a few unrelenting seconds, Immortal have erected a new superior kingdom of frost on top of their existing legacy. »Northern Chaos Gods«, consequently, is the very essence of IMMORTAL; a distillate of grimness that will once again heave the band onto the ice throne of Norwegian black metal. The songs on »Northern Chaos Gods« sound like they were cleaved out of a massive glacier. Grim, harsh and frostbitten, gripped by a triumphant possession – it’s an apocalyptic tribute to the complete and glorious past of this living legend. Once again with the help of producer Peter Tägtgren, IMMORTAL has unleashed another classic album!